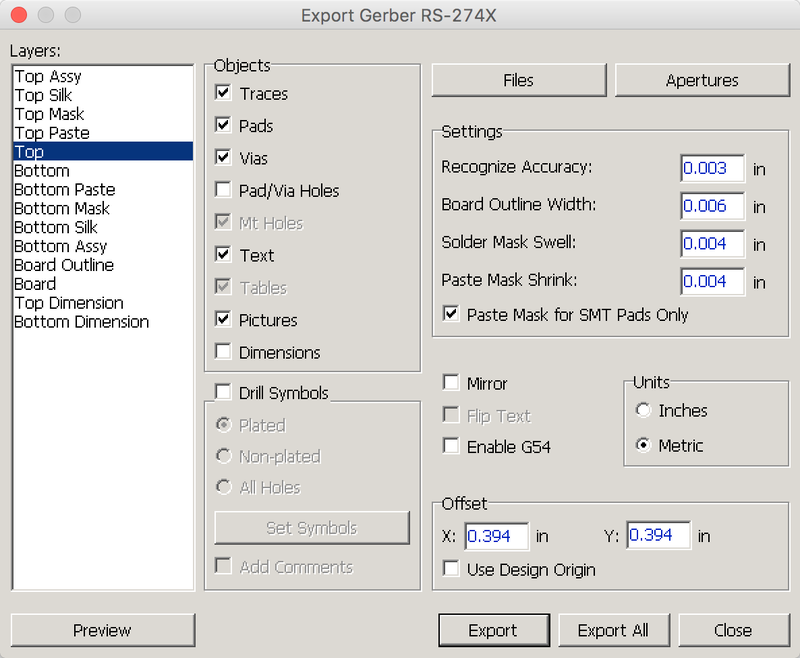 For DipTrace users who want to mill their circuit board designs on the Bantam Tools Desktop PCB Milling Machine, here are instructions to generate Gerber files that can be imported the to Bantam Tools Desktop Milling Machine Software. DipTrace is a commercial program for designing circuit boards. It runs on Mac OS X, Windows, and Linux. Where do I get DipTrace? You can download DipTrace on the site. Where can I find documentation about DipTrace? You can also find DipTrace’s tutorials on the site. How do I get my board design from DipTrace into the Bantam Tools Desktop Milling Machine Software? 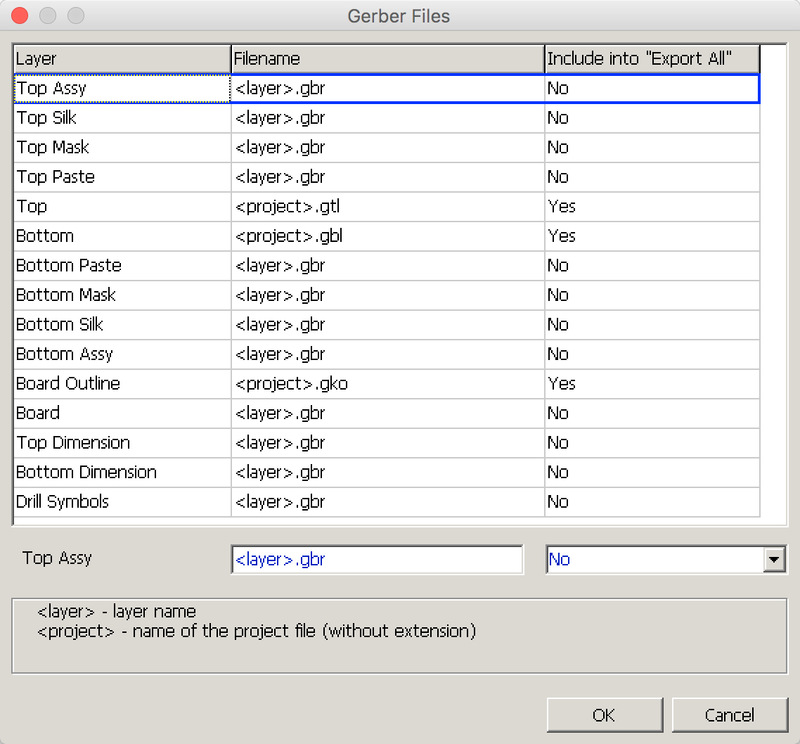 In the Gerber Files window that appears, configure the default filenames and export options as shown in the following image. This will result in Gerbers that follow the software's standard filename conventions. In the Units section, select Metric (see screenshot). Click Export All, select a folder, then click Save until all files are saved. First make sure you’re not using slotted or oval holes, as the software doesn’t support the G85 command that's used to make them. If you need a slot, make a row of overlapping holes that are a few thousandths of an inch larger than the tool and overlap by about half their diameter. For example, for a 1/32" (0.031") tool, make a row of 0.033" holes, with centers spaced 0.016" apart. In the PCB Layout Editor, click File > Export > N/C Drill. Click the Auto button to assign tools numbers to the hole sizes. Save the file into the same folder as the Gerber files. 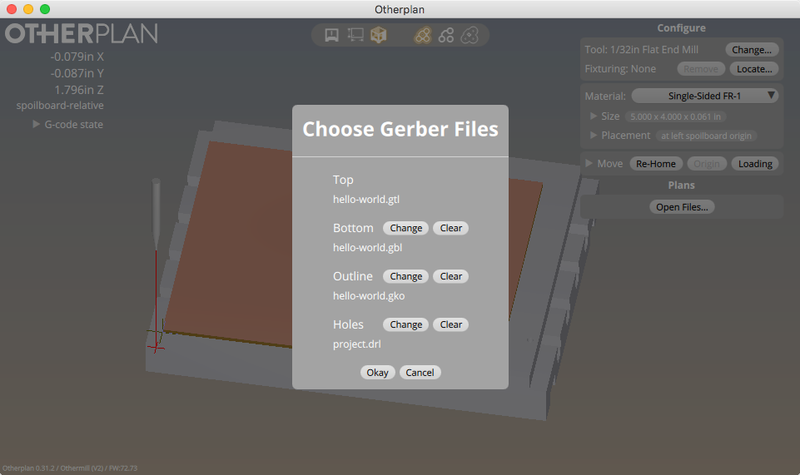 Open the Gerber file containing the Top layer. If you followed the instructions above, this file will end in the .gtl extension. In the resulting dialog, select the correct files for the Bottom (if you’re milling a double-sided board; should end in .gbl), Outline (ends in .gko), and Holes (ends in .drl). See the screenshot below for an example.